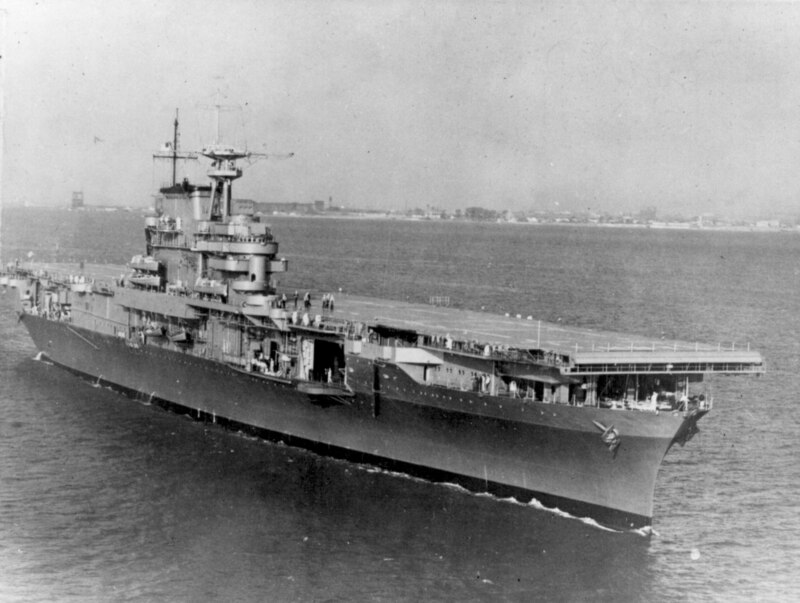 Following Midway Hornet had new radar installed and trained out of Pearl Harbor until order to the Southwest Pacific to take part in the struggle for Guadalcanal. 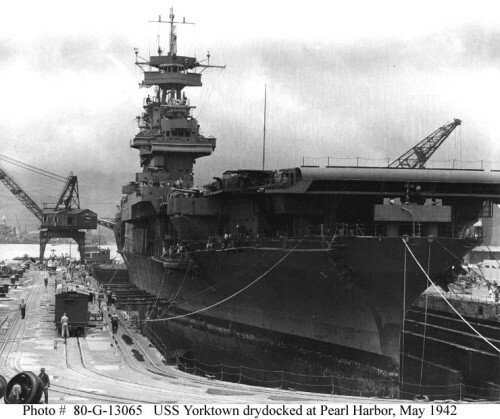 By the time she arrived she was the only operational American carrier in the Pacific. Enterprise had suffered bomb damage at the Battle of Easter Solomons on August 24th; Saratoga was damaged by a submarine torpedo on August 31st and the Wasp was sunk by a submarine on September 15th. 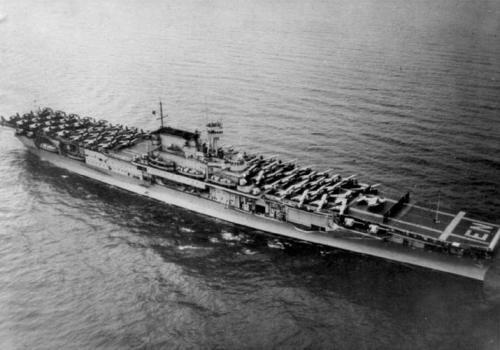 In the space of 3 weeks the United States Navy had lost 3/4ths of its operational carriers in the waters off of Guadalcanal. 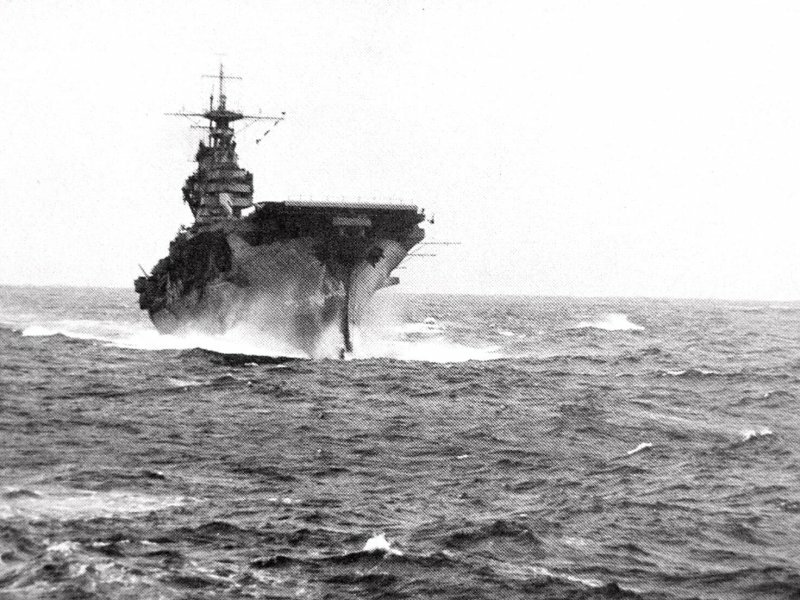 Hornet now faced the Japanese alone, providing much of the badly needed air support for the Marines fighting ashore. 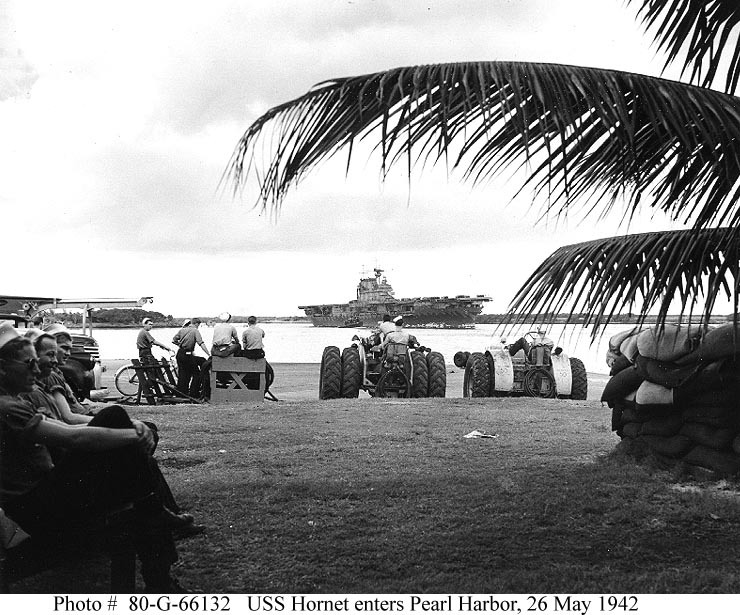 The Enterprise rejoined Hornet following hasty repairs off the New Hebrides Islands on October 24th. 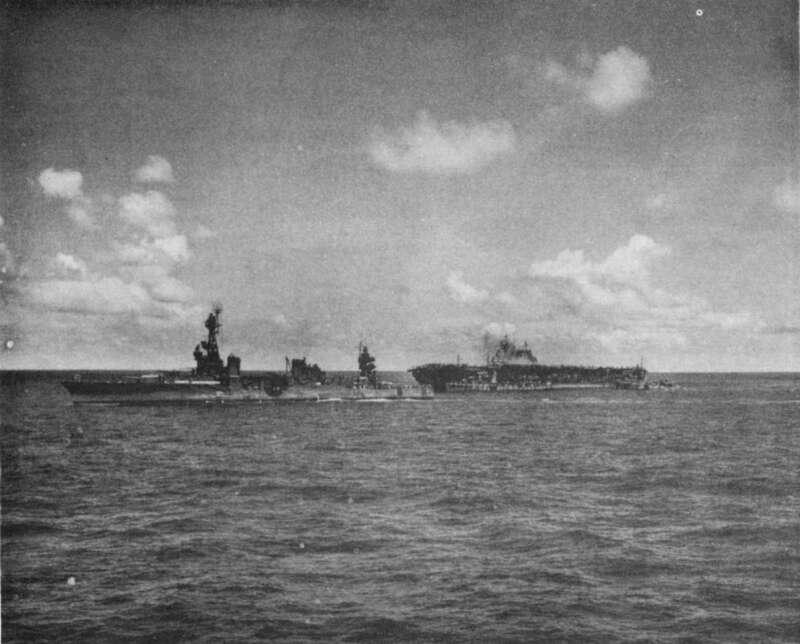 On the 26th they joined battle with a Japanese task force of 4 carriers centered on the veterans Shokaku and Zuikaku. 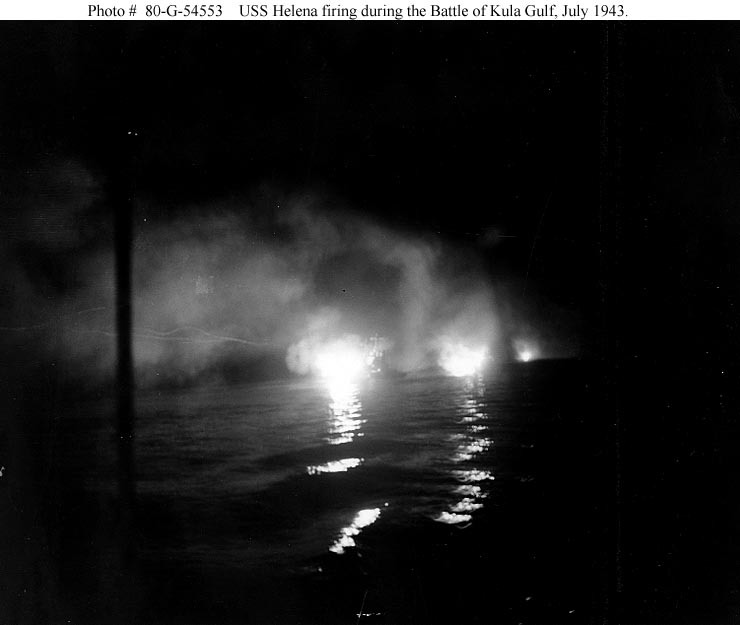 The Hornet’s aircraft attacked and seriously damaged Shokaku even as Japanese torpedo planes and dive bombers launched a well coordinated attack against Hornet. 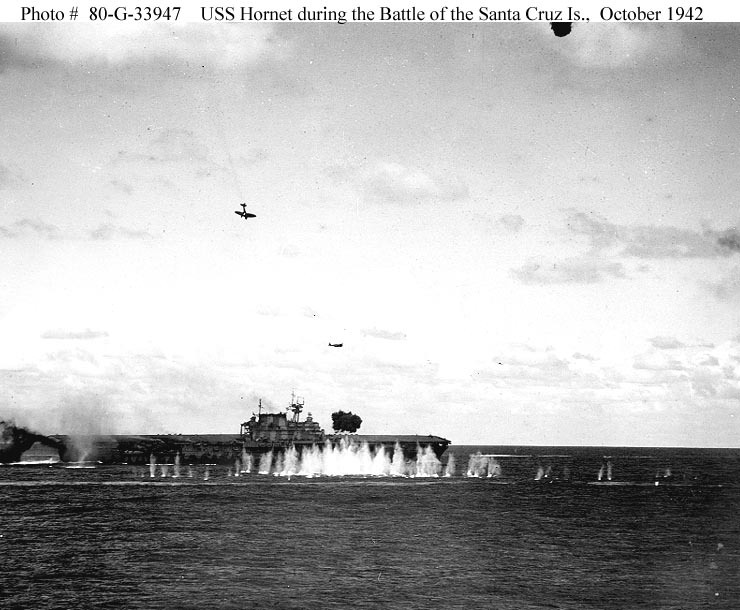 Hornet was hit by three bombs, two torpedoes and had two Vals dive into her with their bombs. 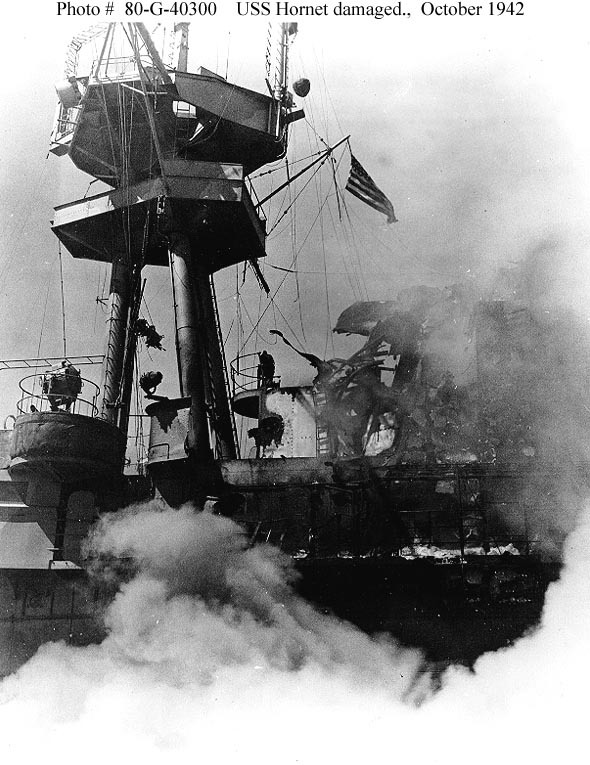 On fire and without power her damage control parties fought to regain control of the ship and extinguish the fires that blazed aboard her. 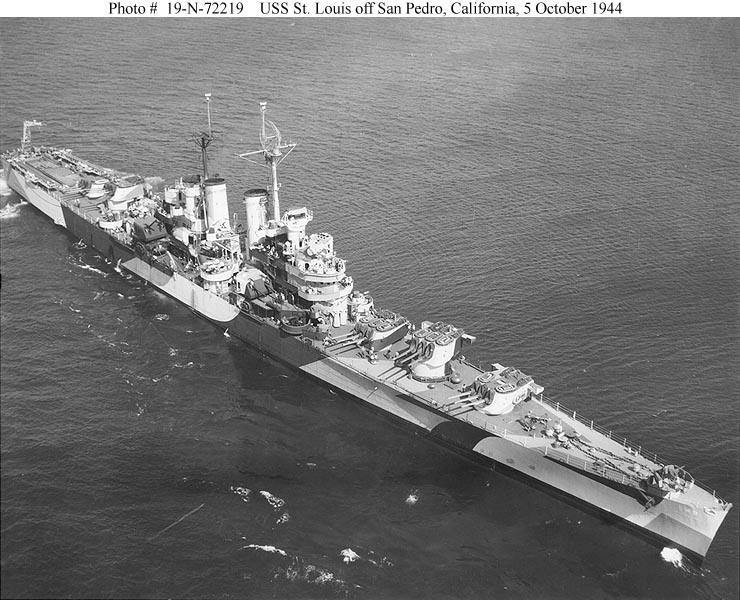 Assisted by the heavy cruiser Northampton which took her in tow her crew brought the fires under control and were close to restoring power when another Japanese strike group found her and put another torpedo into her. With this hit Hornet’s list increase and she was abandoned even as she was hit by another bomb. 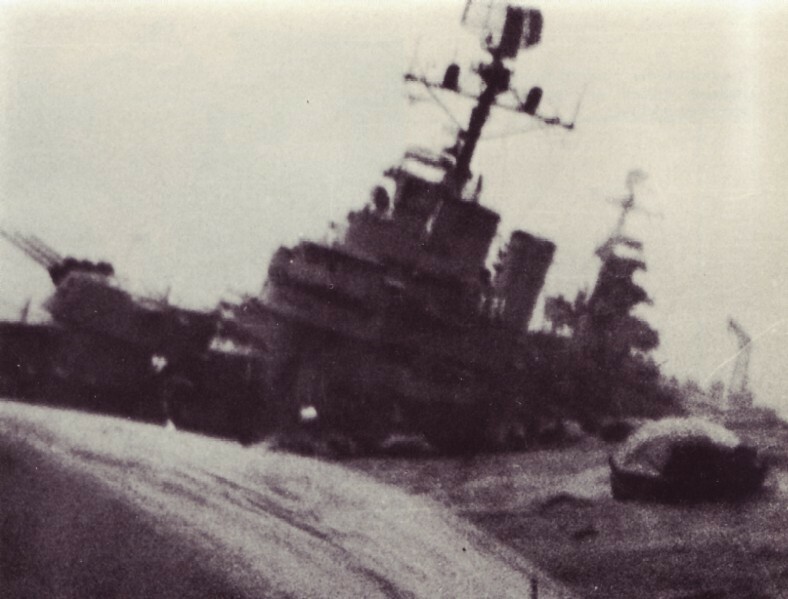 With Japanese ships in the area it was decided to scuttle the ship. 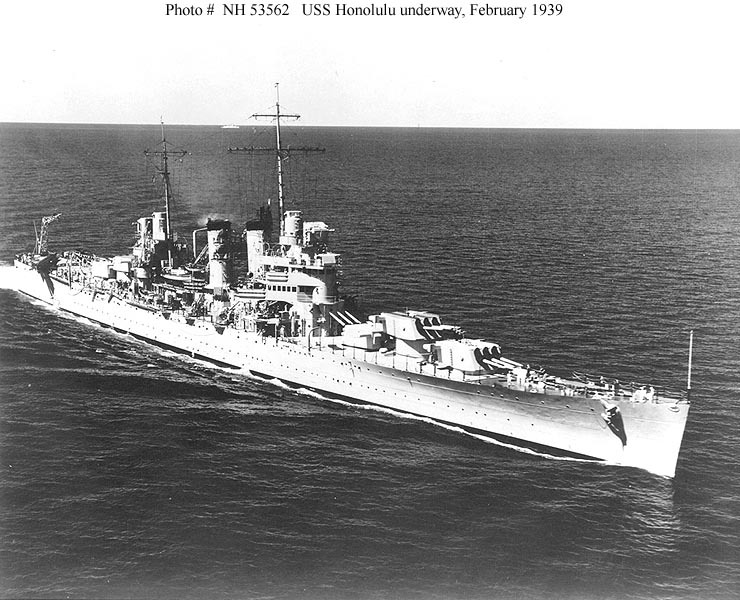 Escorting destroyers hit her with 9 torpedoes and over 400 rounds of 5” shells. 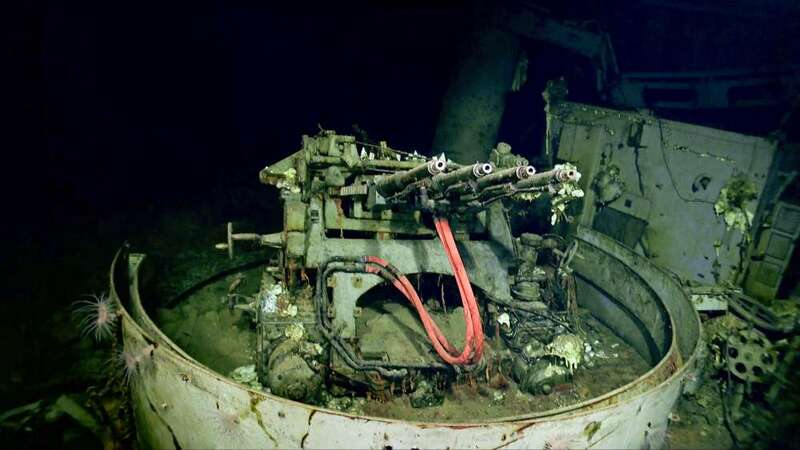 As Hornet blazed in the night her escorts withdrew and Japanese forces after attempting to take her under tow put four of their 24” “Long Lance” torpedoes into the doomed ship at long last sinking her. 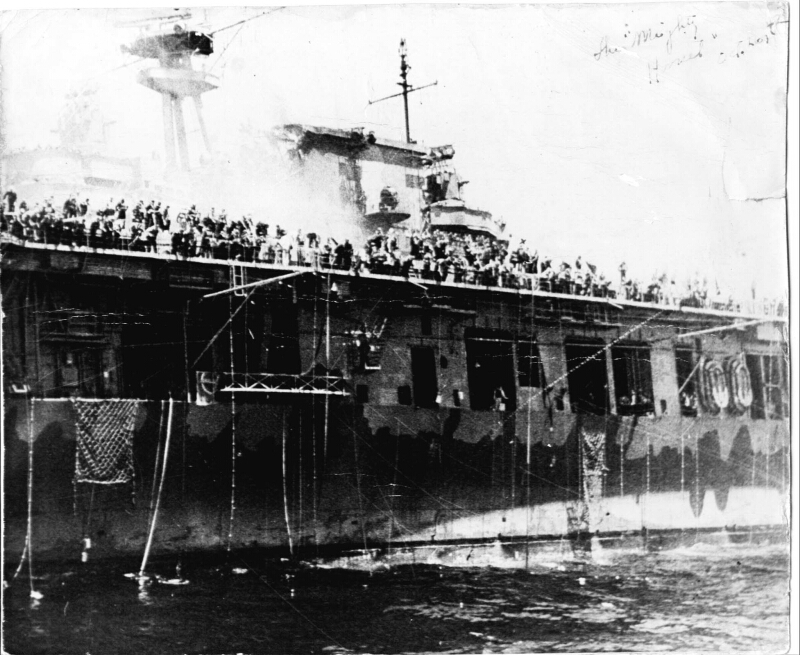 In her last fight Hornet’s aircraft along with those of Enterprise mauled the air groups of Shokaku and Zuikaku again inflicting irreplaceable losses among their experienced air crews. 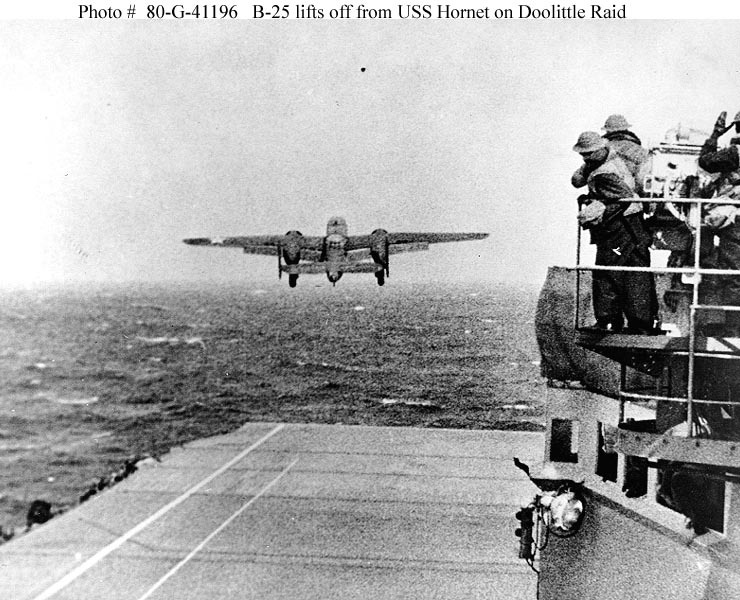 In the battle Hornet was hit by 4 bombs, two aircraft, 16 torpedoes and over 400 rounds of 5” shells, more hits than were sustained by any other US carrier in a single action during the war. 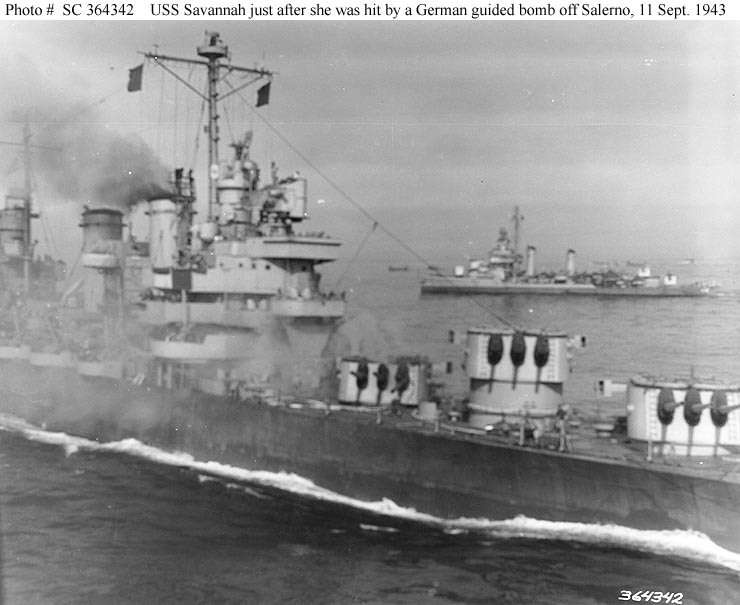 She was stuck from the Navy list on 13 January 1943 and her gallant Torpedo 8 was awarded the Navy Presidential Unit Citation “for extraordinary heroism and distinguished service beyond the call of duty” in the Battle of Midway. 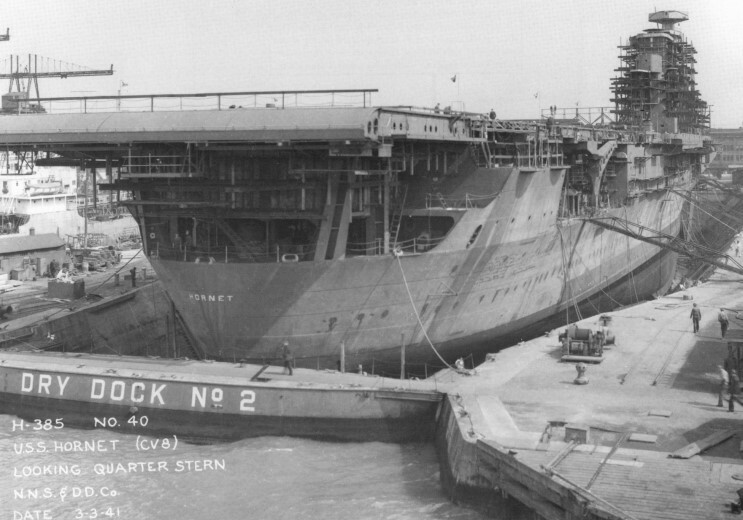 Her name was given to the Essex Class carrier CV-12. The new Hornet served throughout the war and served well into the Cold War. She now rests as a Museum ship at Alameda California.